Check your insurance costs first on the various models. I would have thought a decent quality E30 325 is fairly expensive and not that easy to find? But at 18 I agree the insurance might well be a massive annual cost. 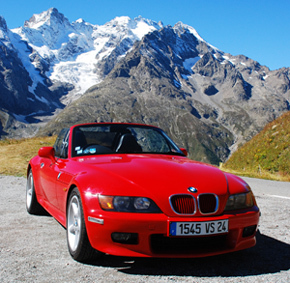 Did you try the The BMW Car Club insurance? Also go on the E30 section of the Club, Mr Mcdonald has a lot of experience and he might find you a decent one or have one for sale. Remember that you will be buying a seriously old car, and will need lots of effort to keep it going, not to mention money and facilities! Trying to work on an old car by the side of the road is really impractical, and would probably not be popular with your neighbours . . .
Also remember that in spite of sharing the aura of the M3, the E30 is not one of the finest-handling or forgiving cars, so will require considerable suspension work as a priority. A worn-out E30 may be an improvement on a similarly worn-out E21, but that is not saying much! I would advise looking for something more modern with a smaller engine, such as at least an E36 Compact 318Ti, and spend your money on springs and dampers. I bought an E39 523i petrol saloon with 105,000 miles for 500 pounds. It now has 177K. Although I do not do any work on it myself, a fellow club member has for me. From what I understand nearly everything can still be fixed without a workshop, but not on the side of the road. Unless its too big another model you might consider, gives nearly 30 mpg, 168 bhp. if you have done your research and like the E30 then go for it. The main issue with the age is that they have very little tech on board - no stability control, no traction control, most have no ABS, no airbags. You will rely on driver skill instead. If your not used to that look to the E46 instead, which will also become a classic soon. I had a brand new E30 touring in 1993 K registration. I do not recall it was difficult to handle but it was along time ago. However, it was fairly prestigious back then. I really enjoyed driving it. The jump from a 1.3 Yaris FWD to a 320 or 325 RWD is quite a big one. It is something to remember even if you go for an E35 that the rear wheels are driven and handling is different from a FWD. The E30 was easier than an E21 in the wet but can still bite unaware drivers. Good look in finding a suitable car.